This statistic presents the share of internet users in the United States who are concerned about their online accounts being hacked. During the August 2017 survey, it was found that 34 percent of respondents felt very concerned about this issue. 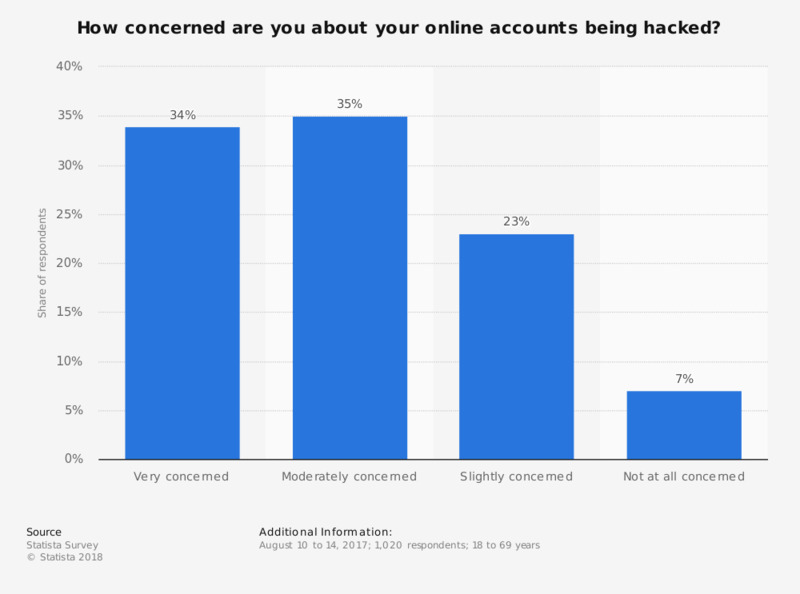 Original question: How concerned are you about your online accounts being hacked?